$45.9 - New from Rylee and Cru, this girls skirt is one of the many cute new arrivals for spring 2018. 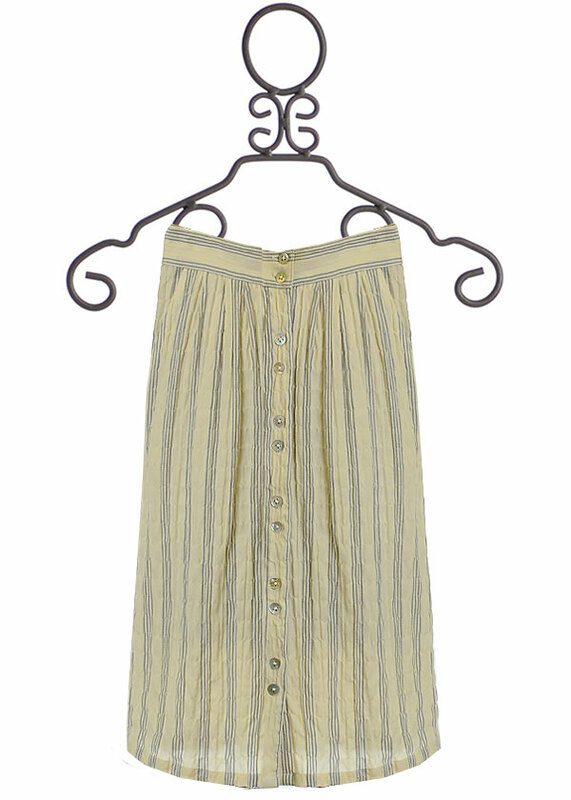 The skirt is created with a woven fabric that we absolutely adore. The A line cut is a classic look and it falls to a maxi length. The straight waistline is comfortable and looks great if she likes to tuck in her tops. Buttons run down the front. Two pockets give a place for her hands to rest. Small seashells are printed in white, filled with summer spirit.